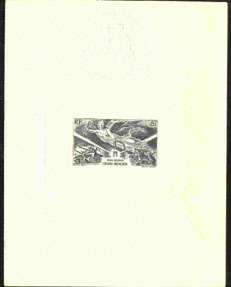 5788 EL FRENCH GUIANA (1946) Winged victory*. Deluxe sheet. Some staining in margin. Scott No C11, Yvert No PA28. Hard to find! 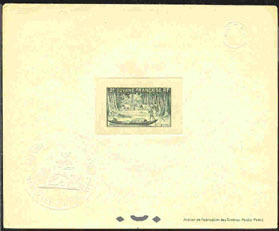 17192 EL FRENCH GUIANA (1947) Piroques on river*. Deluxe sheet with protective glassine overlay. Scott No 198, Yvert No 207. Attractive!